In an effort to raise awareness of wasteful water usage the Fort Worth Water Department and the Botanical Research Institute of Texas (BRIT) partnered to challenge area homeowners to create the perfect, water efficient landscape and compete in the EcoScape residential landscape contest. Residents with 1,000 square foot (or larger) front yard were eligible and were asked to submit their water efficient yards that use native/adaptive plants and mix according to color, aesthetic appeal, and plant variety. Each will receive a winner’s sign and a membership to BRIT. In addition the first place winner receives a compost bin and a 50-gallon rain barrel. It is estimated that up to 50% of all water used in the summer months goes to residential landscapes. 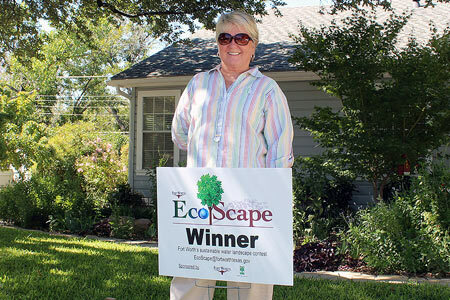 The EcoScape Contest was open to residential landscapes within Fort Worth city limits and Fort Worth’s wholesale customer cities, including Aledo, Bethesda Water Supply Corp., Burleson, Crowley, Dalworthington Gardens, Edgecliff Village, Everman, Forest Hill, Grand Prairie, Haltom City, Haslet, Hurst, Keller, Kennedale, Lake Worth, Northlake, North Richland Hills, Richland Hills, Roanoke, Saginaw, Southlake, Trophy Club Municipal Utility District, Westlake, Westover Hills, Westworth Village and White Settlement. The judging criteria included design aesthetic appeal through composition, use of color, and plant variety; water conservation; and overall yard/plant health. In hopes of making this an annual contest, BRIT and the Fort Worth Water Department will again sponsor the competition next year. Applications will be available on the Haltom City and BRIT web sites. Keep America Beautiful and the Ad Council have launched a new advertising campaign designed to raise awareness about the benefits of recycling with the goal of making recycling a daily social norm. Choosing to recycle, the campaign suggests, can give otherwise discarded materials another "life". A new website, www.IWantToBeRecycled.org, offers a localized search tool that allows users to find where to recycle either at their curbside or their nearest recycling center. The website illustrates the recycling process through an interactive infographic and offers detailed information on what materials can be recycled, how they should be recycled and what products they can become in the future. For recycling option here in Haltom City please visit this page. 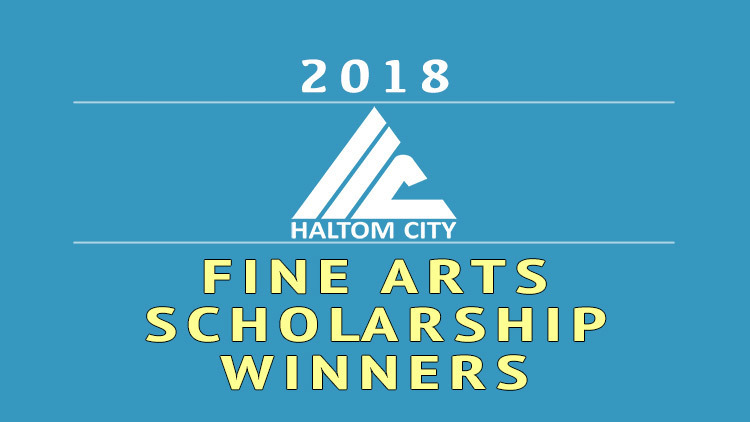 The video of the 25th Anniversary Images of Haltom City Photo Contest judging is now available for viewing. The judges included Gary Blocker, Cos DeLeo and Stacy Leucker, each with a long history of involvement in the field of photography. Best of Show went to Valorie King. Winning photographs can be seen here. The judging has been complete, the on-line voting tallied and the winners are being notified in the 25th anniversary Images of Haltom City Photo Contest. Begun in 1989, the contest had just 36 entries that first year. The contest has grown in popularity and each year typically attracts more than 250 entries involving 90 to 100 individual photographers. To mark the 25th contest, organizers added a “People’s Choice” category in which entries were submitted on-line, and visitors to the city’s website could vote for their favorite photo. For the other nine categories, organizers followed previous guidelines and held a judging of more than 300 printed and matted contest entries. The judges included Gary Blocker, Cos DeLeo and Stacy Leucker, each with a long history of involvement in the field of photography. See all winners/honorable mentions here. Those entering Haltom City from Hwy. 121 and Haltom Rd. now receive a warm welcome thanks to a newly installed landscape project. Worth a total of $95,000, the project is the result of work done by Keep Haltom City Beautiful volunteers. It comes from an award earned by the group in 2004, sponsored by Keep Texas Beautiful and the Texas Department of Transportation. 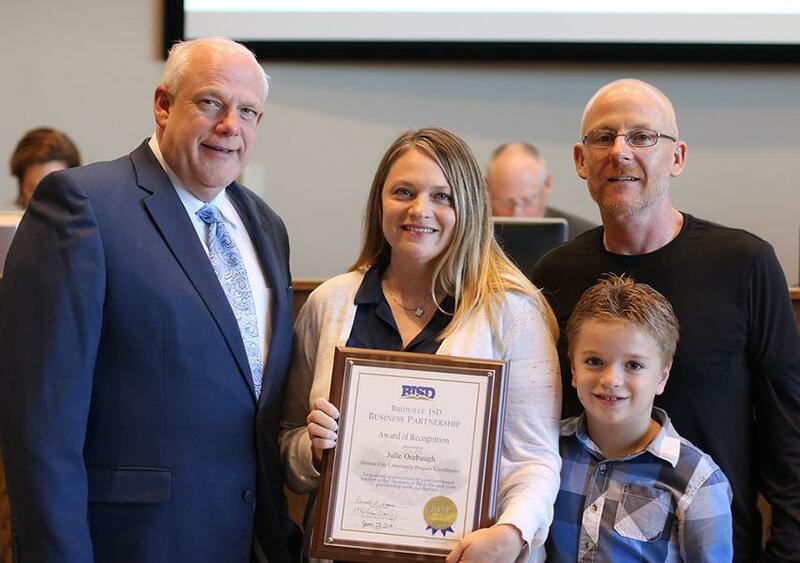 To win the landscape award, KHCB, also known as the Haltom City Beautification Board, had to fulfill projects in seven categories, write an executive summary detailing what they had accomplished in each and put together a scrapbook as documentation of what had been done. Projects covered programs focused on environmental issues ranging from beautification and code enforcement to education and waste management. Titled the Governor’s Community Achievement Award (GCAA), the prize is part of a highly competitive network of Keep Texas Beautiful affiliates which are divided into nine population categories. The awards increase according to population. A total of $2 million is annually at stake. “We enter the GCAA each year,” Denise Ford, board chairman, said. “Not just because we hope to win the funds, but because we like to use the application as a guideline for improving the community,” She added. This latest landscape project is the third one earned by KHCB since 1989. The other projects are located on Denton Highway near the NE Tarrant Chamber of Commerce and along Belknap Street and Baker Boulevard where Haltom City, North Richland Hills and Richland Hills come together. See video highlighting project funding and design. The 49th annual Keep Texas Beautiful (KTB) Conference was held in Sugarland, Texas during the month of June, 2016. Keep Haltom City Beautiful (KHCB) Board member Rick Edgett represented Haltom City at the annual conference. 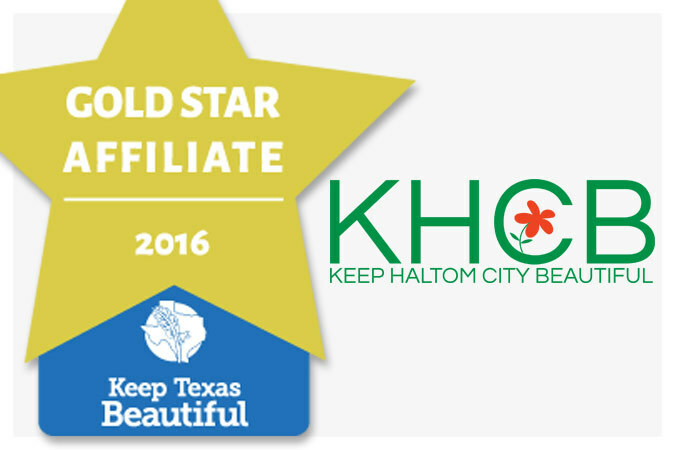 KHCB was honored again as a Gold Star Affiliate and earned Sustained Excellence from our events and programs during the 2015 calendar year. KHCB also once again won 2nd place in our category of the 2015 Governor’s Community Achievement Awards (GCAA). KHCB has won this prestigious award three times in its history: 1989, 1998, & 2004. 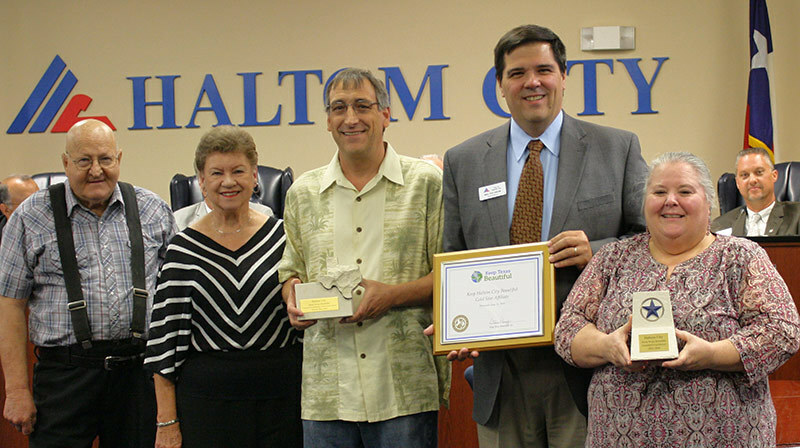 Winning this award brought in $250,000 for a new landscaping project along a TxDOT roadway in Haltom City. If you are interested in serving on our Board, please fill out an application to serve on a board or commission or contact the Community Relations Coordinator. Do you have old and expired medicine just sitting in your medicine cabinet and you’re not quite sure how to get rid of it? 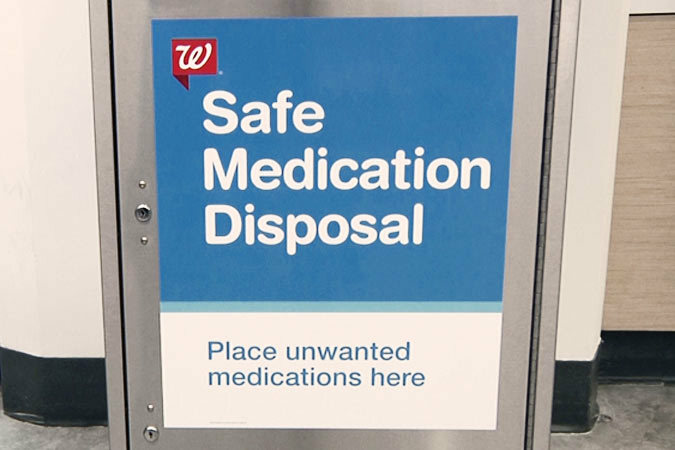 Walgreens has installed kiosks in some of their stores to give customers a way to quickly and easily dispose of their unused drugs at no cost. The program will make the disposal of medications, including opioids and other controlled substances, easier and more convenient while helping to reduce the misuse of medications and the rise in overdose deaths. The closest Walgreens for Haltom City residents that offers a kiosk is located at 4520 Western Center Blvd, Haltom City, TX 76137. The pharmacy is always open, so you can drop off your unused medications 24 hours a day. Store information and hours are available here.